Yes Spa @ Kuta and Yes Spa @ Legian are both open! Yes Spa is South Bali’s ultimate spa experience, combining the concepts of a modern day spa with traditional Balinese healing techniques. We offer a range of treatments as well as our signature line of spa products. We invite you to indulge yourself to look and, more importantly, feel great. Only once you have taken care of yourself can you function at your best and give your best to others. 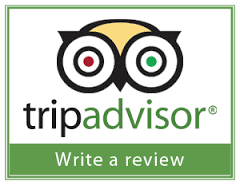 If you have already come to visit us, write a review on Tripadvisor!